Teak chess pieces above is bottom part of a King chess piece which made of the best quality of Teak wood in Java island. Our Teak wood has dried in order to reduce its water resistant. We choose the older wood to get its best quality. So that our products are very durable for outdoor and indoor use. 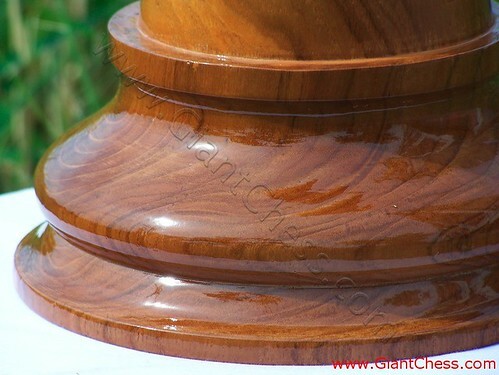 You do not need to worry about its damage, because our Teak chess pieces are durable in any weathers and seasons.